In late 2016, Norwegian skiing star Therese Johaug claimed the only thing motivating her in the midst of controversial doping charges was the prospect of skiing in this year’s Olympics in South Korea. A subsequent ruling that bans her from competition until April dashed those hopes, but now Johaug claims she’s moved on, and profitably at that. Johaug is among the Norwegian skiing stars who are noticeably absent from the Winter Olympics starting up in South Korea this weekend. Newspaper Dagens Næringsliv (DN) reported last week, however, that Johaug’s doping conviction (for using a lip cream given to her by the Norwegian skiing team’s doctor at the time that was found to contain steroids) certainly hasn’t hurt Johaug financially. Sales of her line of clothing have risen and she’s even attracted new sponsor deals while she endures her 18-month suspension from the sport she loved. Johaug’s business interests and investments have provided her with a lucrative diversion in recent months, after the trauma of the doping case suddenly left her without even wanting to train anymore. She earlier had kept up a tough training program, paying for her own personal coaches and apparatus around her since she wasn’t allowed to train with the Norwegian team. 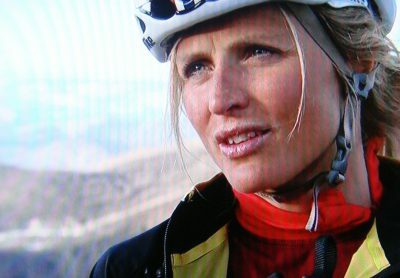 All her concentration had been on the Olympics, she had told state broadcaster NRK. When it became clear she would would be banned from it, too, in addition to the last World Championships and another World Cup season, she lost all motivation. She said it wasn’t until January, five months after her conviction was confirmed and her suspension lengthened last August, that things began to turn around. She has gone skiing with her good friend and teammate Marit Bjørgen, the multiple gold medalist and World Champion who is taking part in what will be her last Olympics. Johaug is gearing up for her return to the Norwegian national ski team when her suspension ends on April 18. Meanwhile she can be consoled by how well her business interests are doing, she’s learned a lot about the world of marketing and finance and recently appeared at a Norwegian trade show for the sports apparel branch. “I have seen that there a lot of other things you can do (apart from training and skiing competitively) and that you can manage even without what’s been such a huge part of your life,” Johaug told DN. The young woman who cried bitterly and publicly on several occasions won lots of support and sympathy, not least from the company behind her apparel line, Active Brands, and new sponsors like a gourmet grocery store in suburban Oslo. She defied the odds by retaining all her sponsors (including Colgate, United Bakeries, Oakley, Huawei, TAG Heuer and Jaguar among several others) and only lost the producer of Fischer skis. DN reported that her Norwegian company Setra AS logged a pre-tax profit of NOK 4.9 million for 2016 (the last reporting year available) and her taxable net worth amounted to NOK 48.6 million, with income of NOK 3.1 million. She paid NOK 18.8 million last year for a house at Holmenkollen in Oslo and also owns two condominiums in the Norwegian capital. Her suspension has clearly cost her, in terms of cash winnings on the pro-skiing circuit, added expenses once she landed outside the national team, lost bonus income from sponsors and the loss of Fischer. DN estimated the cost at well over NOK 10 million. Norway’s skiing federation covered her attorneys’ fees of NOK 3.5 million, not least since it was a team doctor who had recommended she use the fateful lip cream. “If there’s one thing I’ve learned from all this, it’s that you should never rely on anyone, period,” Johaug told DN. “It’s terrible, but that’s the way it is.” She, not the doctor, was held ultimately responsible for using the non-performance-enhancing cream to treat lip sores that resulted in her testing positive for steroids. She should not have relied on a doctor’s recommendation, but instead checked the cream’s contents herself. She claims, though, as does her manager Jørn Ernst, that she’s putting it all behind her now. Her next challenge will be to return to skiing, “learn what takes energy and gives energy,” she told DN. “I want to continue for many years, but you can ever have any guarantees. Given what I’ve experienced, I don’t know what it will be like to come back again and be part of it all. Suddenly you can feel like you don’t want to do it anymore.